Our artists transform the learning experience of painting into a magical evening with an ambiance welcoming food and drinks. Our guests can expect to savor delicious treats from our friends in the community, while sipping on their very own drink or enjoy what we have to offer . Our romantic setting can also be reserved for private parties of various sizes. Exclusive private parties require a minimum of _15___ guests. We are a B.Y.O.B. Art and Social Studio. This means you are welcome to bring your favorite bottle of wine or any other beverage of your choice and snacks to enjoy during class. 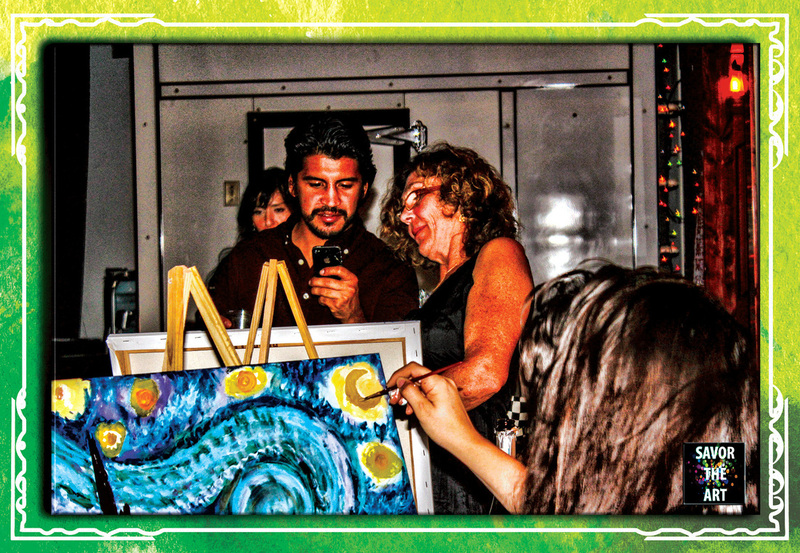 Savor the Art classes are not serious art lessons, but are intended for you to relax, have fun, and leave with an awesome piece of artwork! 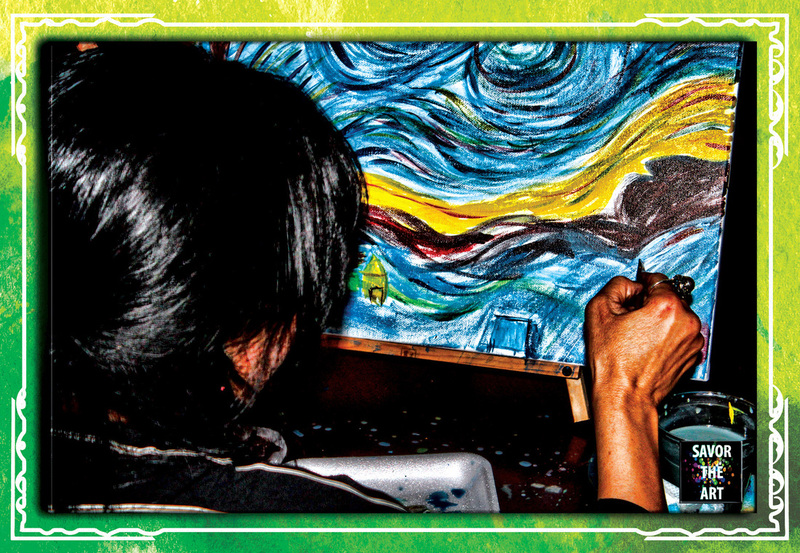 Let us help you discover your inner artist. No experience necessary! Our BYOB classes are intended for adult painters, although we will permit painters aged 16 and up. Younger painters (15 years and under) are not permitted to join our adults only classes but may participate in All Ages classes & private parties.